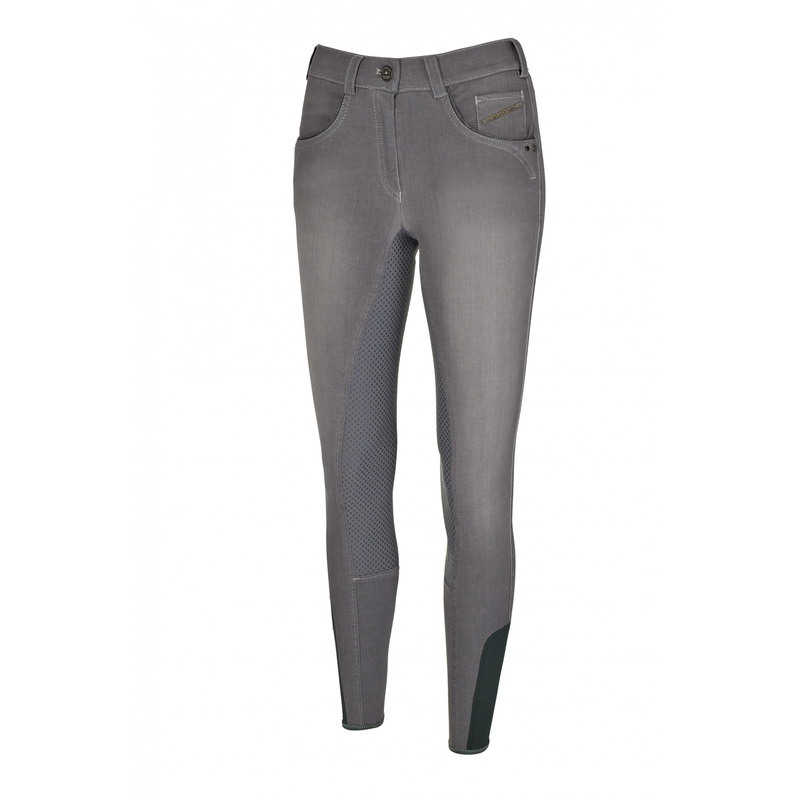 Comfortable ladies' full seat breeches. Their grip is covered with silicone, which provides excellent adhesion to the saddle. 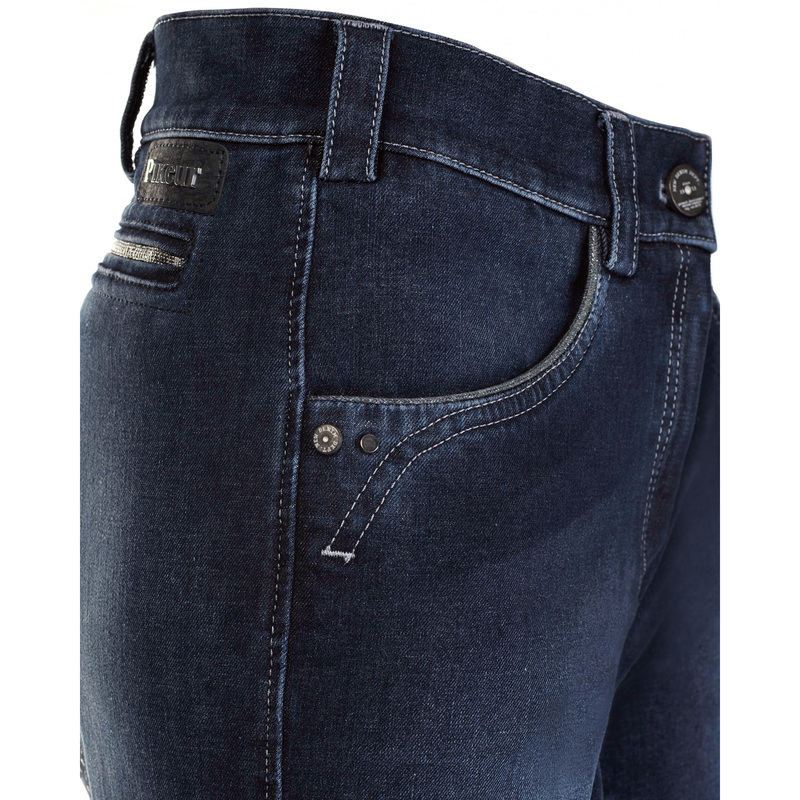 They are made of very comfortable material of a jeans type, which stretches in four ways. 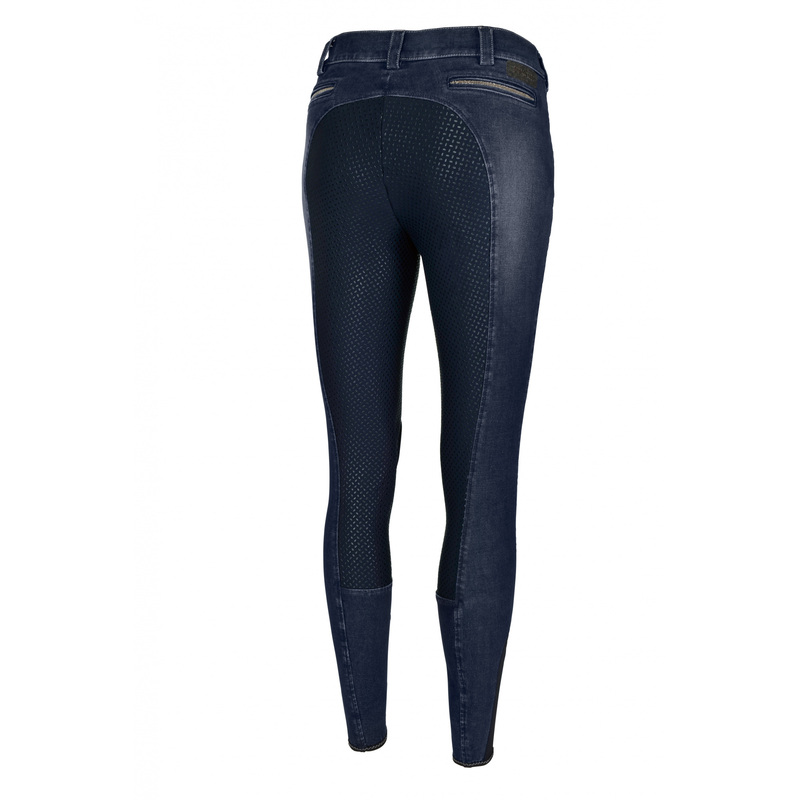 The breeches have two comfortable pockets on the front and a small one, decorated with a row of beads. You can find a similar trimming on the imitations of the back pockets. For perfect fit, the inner part of the legs have elastic panels.